So Google has this program called #NBACareerCrossover, it is where real NBA players try working at Google for the week. Here is a photo of them wearing the Noogler hat. Below is some of them in a Waymo car. 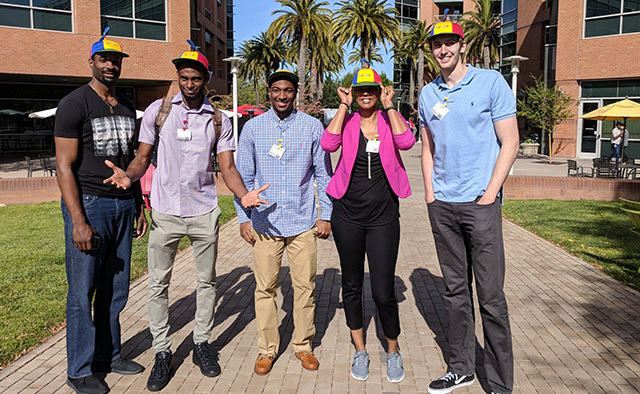 Google wrote on Google+ "This past week, Googlers had the opportunity to share what it's like to work here with NBA players as a part of the #NBACareerCrossover program. Find your job match and apply online to become a Noogler: https://goo.gl/F27STK."